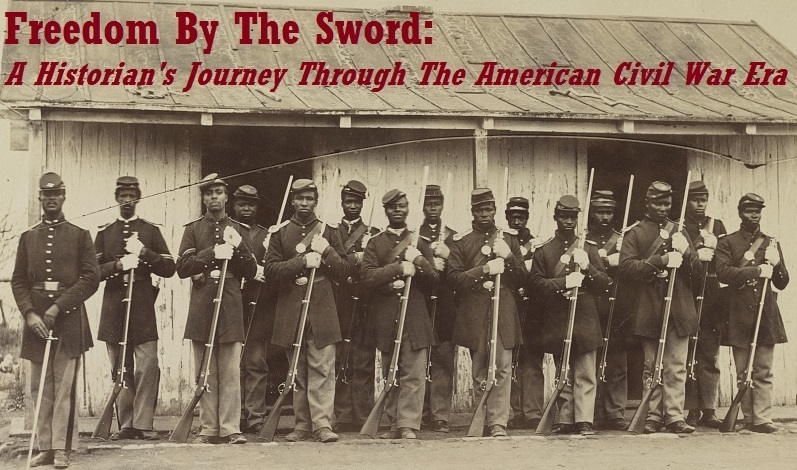 Freedom by the Sword: "By all means let us have a reunion"
By: Rev. Jno. C. Brock. A few weeks ago the colored veterans of the 54th and 55th Regiments of Infantry and the 5th Cavalry held a reunion in Worcester, Massachusetts. It was to them a delightful occasion. The first time since the war that these heroes had enjoyed the opportunity of being together, recalling the thrilling events of those memorable days when they were in the fierce charge at Wayne or on the bloody fields of Olustee and Honey Hills. Several of the line and staff officers were with them- the heroic Sergeant Carney. It was a glorious gathering. It was proposed at that meeting to have a national reunion of the colored veterans of the U.S. of America. This movement, I think, ought to be encouraged. The white troops in the several States have their regimental, and ofttimes, brigade reunions. This they can be quite easily, for in many instances regiments were organized in one town or city and brigades formed in the same locality. They were all recognized as State troops and the relationship established amidst the dangers of the battle-field they have never allowed to be obliterated. But with the colored soldiers, Massachusetts was the only State that accredited her sable braves as State troops. 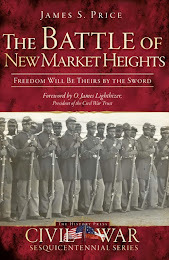 Prejudice prevented the others from recognizing the colored troops recruited within their boarders as State troops. With the single exception of regiments all the rest were dubbed United States Colored Troops. I know that in my native State, Pennsylvania, at Camp William Penn, eleven regiments were organized in the following order, namely: the 3rd, 6th, 8th, 22nd, 25th, 32nd, 43rd, 41st, 45th, 127th, 24th. Yet not one of these were called Pennsylvania Volunteers. 'Tis true, the men composing these regiments came from the different parts of the Union, but that was no reason why the State, whose quota was filled by these very men, should have hesitated to recognize them as State troops. But the fact that the colored regiments were recruited from all portions of this country makes it extremely difficult to have regimental or even brigade reunions. But might there not be a national one? Representatives from the different regiments might possibly be present. An opportunity would be afforded to collect facts for historical information that will never be published by a prejudiced historian. If we wish to have proper credit let us furnish historians from among ourselves to furnish the facts connected with our own history. Examine our school histories, of you please, and you will find very little, if any, reference made to the fact that nearly 200,000 colored men shouldered the musket and went forth to so and die, that the foul blot of slavery might be forever erased from our national banner. By all means let us have a reunion. I would suggest some railroad center easy of access from all parts of the country, like Harrisburg, Pa., as a proper place, where the officers and men who still survive of what was known as the United States Colored Troops may assemble and recall those days when the “rejected,” at the beginning of the rebellion, eventually became the forlorn hope that came to the rescue in the hour of danger to preserve the unity of the nation when its fate hung trembling in the balance.